Before getting to these amazing little chia powerhouse bars, I want to share something with you all. Last Wednesday night, exhausted after a long day, I was just sitting down to my dinner of leftovers when I got a text from my brother-in-law, "So what's going on the blog for Cinco De Mayo tomorrow?" Cue feelings of guilt. "Nothing :(" I replied. I hadn't had time to create or shoot any new recipes recently so nothing would be going on the blog that week. How had I not made time to prepare a Cinco De Mayo recipe? No one is going to continue reading your blog if you're not consistently posting each week. Think of all the blogs that post five times a week or more, and you can't even handle once a week? And on and on the self bashing went. This thought pattern has been a common occurrence for me recently. My blog is relatively new and I'm struggling a bit to strike that balance between working hard and still having fun. But in this instance, I finally decided that enough was enough. I realized that I was trying my best, and that's what mattered most. Even at my best, I might not be able to post a recipe each and every week, and that's okay. What's really important is why I started this blog in the first place - my love for cooking and to spread the word about plant-based food. So I've decided to give myself a break and reconnect with my passion, rather than focusing on self imposed obligations. I'm on this tangent sharing this with you all because I know most of you are bloggers as well, and I'm wondering if you can relate. Blogger or not, I imagine all of us feel at times like no matter what we do, it's never enough, its just that none of us are talking about it, right? I hope that if you're feeling the same way, you'll join me in ignoring self doubt and celebrating your accomplishments for once - I think we owe it to ourselves. 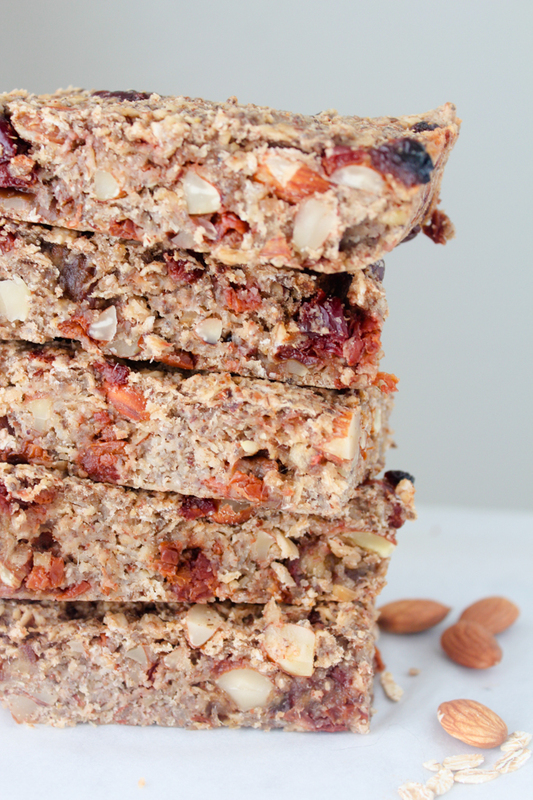 Now, if I may direct your attention to something else that needs celebrating: these delicious chia-oat power breakfast bars. 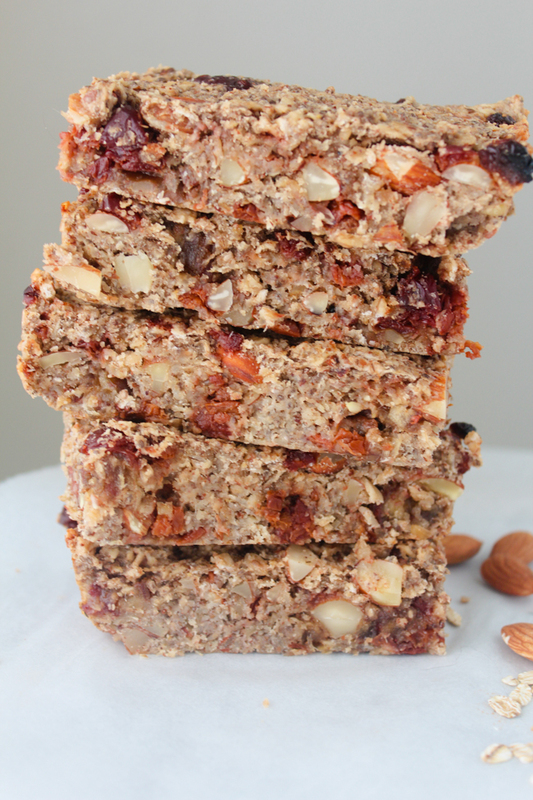 Granola bars are such an easy grab and go option for breakfast, but so many of the ones you find at the grocery store are either full of sugar and preservatives or crazy expensive. 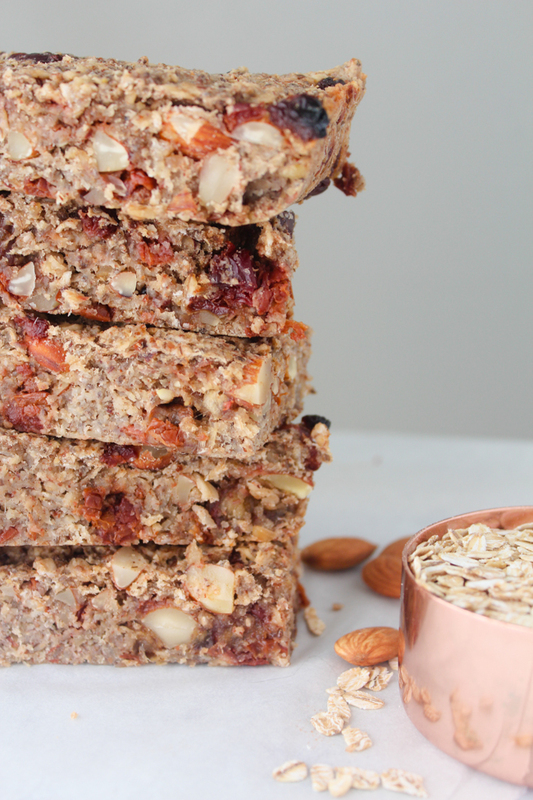 These bars have very minimal sugar, are gluten-free and filled with protein, fiber and vitamin packed chia seeds, one of the healthiest foods in the world (no joke). They also take hardly any time to make and can be stored in the refrigerator and enjoyed throughout the week. Definitely give them a try the next time you're looking for something simple and easy to energize your morning. And just a quick thank you to all of you for bearing with me during these growing pains; it really does mean so much to me that you all are following along. As I continue to get the hang of it, I intend to post a new recipe regularly every Thursday, and eventually grow to posting multiple times a week! 1. Preheat oven to 350 degrees. Cover an 8 inch square baking dish with parchment paper and lightly spray with cooking spray. 2. 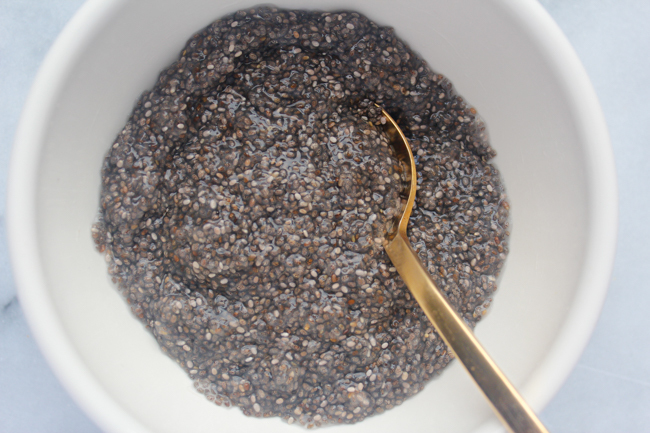 Combine the chia seeds and water in a bowl and let sit for 10 minutes. They will gel together and form your chia egg. 3. 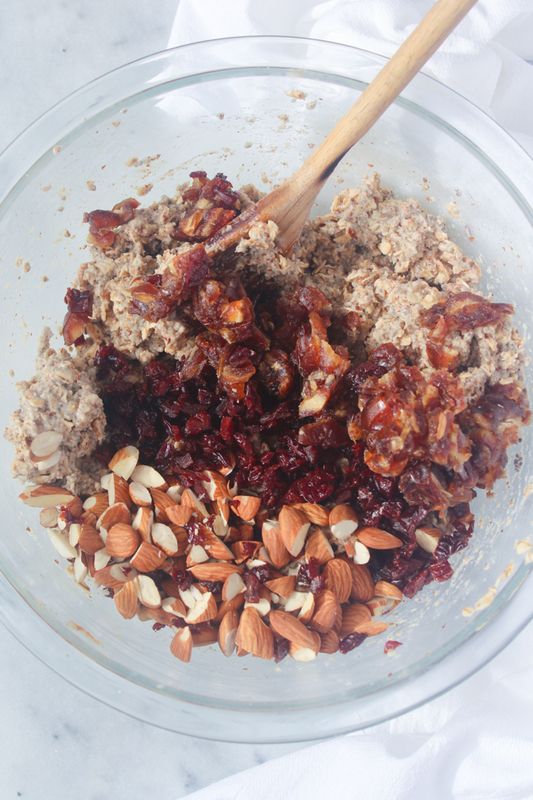 Add the oats, almond flour, baking powder and salt to a large bowl and mix. Stir in the almond butter, maple syrup, chia egg and an additional 1/2 cup of water. 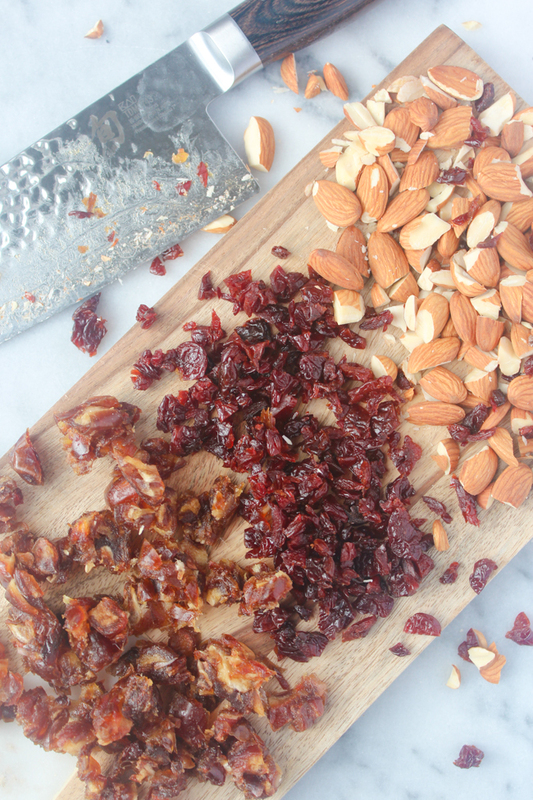 Then add the chopped dates, cherries and almonds. 4. 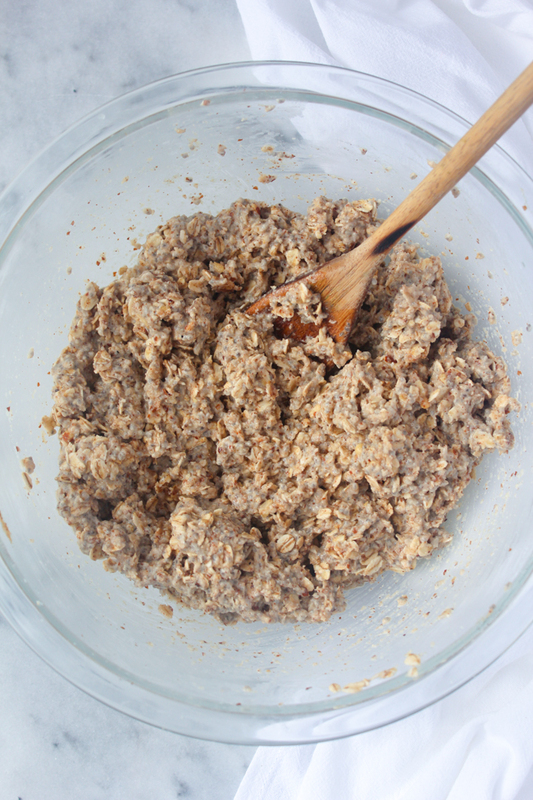 Spread mixture evenly in the baking dish and bake for 30 minutes. Let cool completely before slicing into bars. These sound so amazing!! 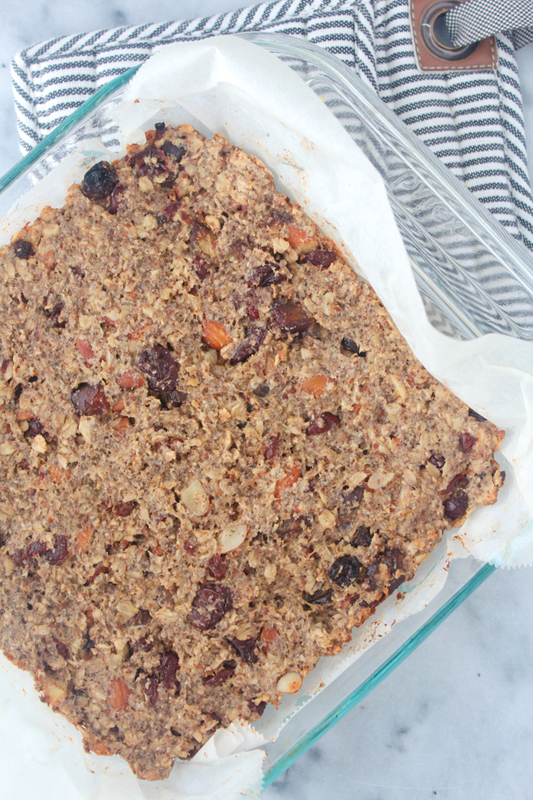 So many of my fave healthy ingredients in one recipe! *heart eyes! * The only thing I've surprisingly never tried is Mejool dates; my mom was just telling me a couple days ago how much she loves them! Thank you! Oh my gosh, you are going to loooove medjool dates! I honestly didn't give them a try either until just a few years ago because they do look a little funny but they are delicious and so naturally sweet, it's amazing. I hope you give them and this recipe a try! Yes! Let me know how you like it. Thanks for stopping by! These look delicious! I've been looking for a granola bar recipe for so long. Thanks for sharing! 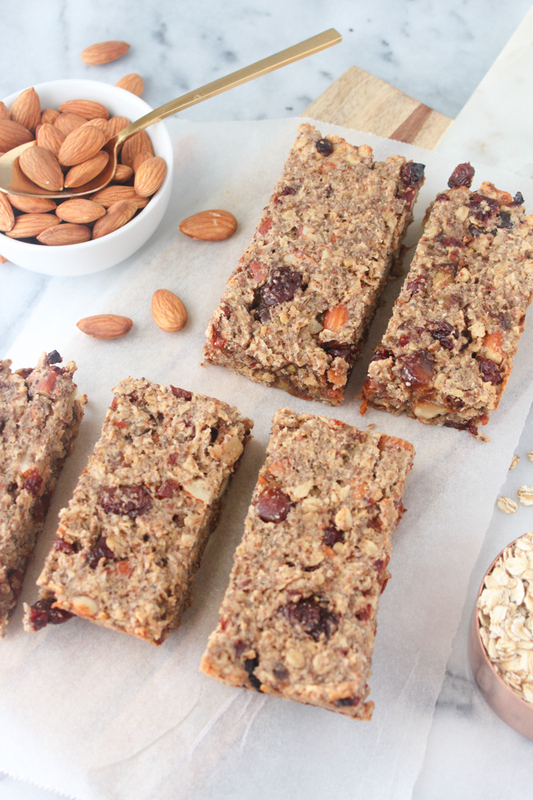 And I need to try these power bars stat - I'm always on the hunt for ways to spice up my breakfast routine. 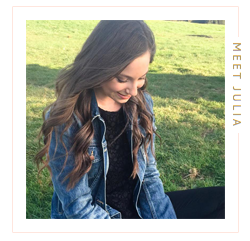 Hey Julia, I can totally relate to this post! I've also just recently started my blog and it's so hard to keep posting and to remember why I started a blog in the first place. Keep going, keep strong! Thanks so much, Candace! It can be stressful, but it helps so much knowing there are other people out there experiencing the same thing. Congrats on your new blog!